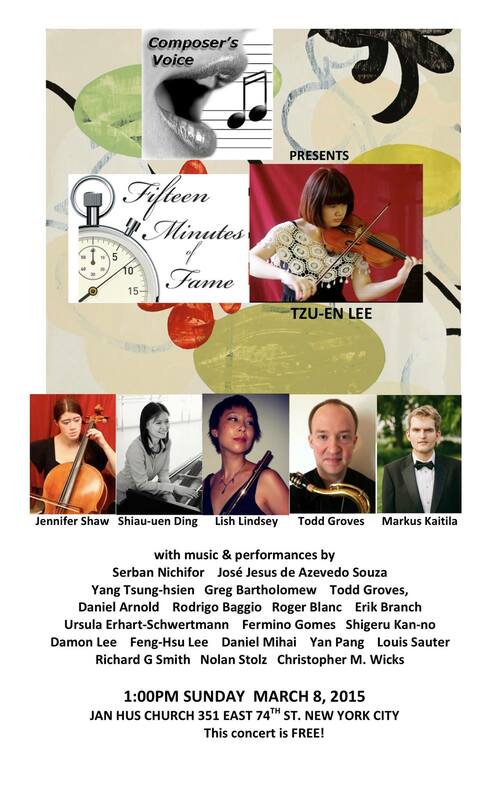 Rainy Night of Flowers for solo violin is written for violinist Tzu-En Lee and Fifteen-Minutes-of-Fame, and inspired by a Taiwanese folk song (Rainy Night Flower), as a drizzling rain at night reminded me of all the yearning I have for my hometown. This is the world premiere recording (video). It is a set of 15 one-minute solo violin pieces, and Rainy Night of Flowers is the third one in this set (from 3:05).